What should I know about renting out property in Greece? Now that you have bought your home in the sun, the chances are that you might want to use it as a holiday let, either full time, or when you are not using it yourself. This is easy as long as you do everything correctly from the beginning, says Diana Giannoulis of Corfuhomefinders. But any shortcuts or omissions may result in problems in the future. Here’s what you need to know about renting out property in Greece. How do you find people for your property? Contract your property to a tour operator for a fixed ‘guaranteed’ amount per season. They are responsible for bookings and management of guests. You are responsible for the running of the property. This is a fairly easy introduction to lettings – the income will be lower, but it will be guaranteed , with fixed payments, and it won’t be up to you to find guests. Advertise the property yourself through various online portals such as Tripadvisor, Homeaway, Airbnb etc. They vary in commissions charged and methods of payment. Nonetheless, the principles are the same. You write your own advertisement, giving details of the property, photos and prices. Enquiries are then forwarded to you to handle. Payments are made to the letting company, who forward them to you when the guests are in residence. Employ a local agent who obtains bookings for you. They also manage the property for you, including cleaners and laundry, pool and gardens, transfers, car rentals, welcome packs and maintenance issues. They also have someone to meet the guests and be on hand for any information or problems. The usual commission would be 10% of each booking, and an hourly rate for additional services. They would pay you for each individual booking after deducting their commission. Renting out property in Greece can be an excellent financial move. 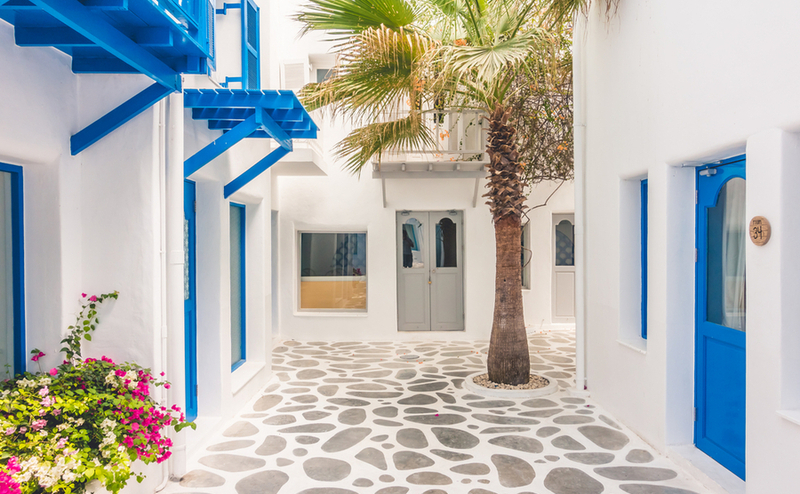 How do you tell the tax office you’re renting out property in Greece? With an EOT licence (tourism rental permit). The lawyer and engineer who dealt with your purchase will be able to help you with this. The licence enables you to rent for any period of time during the year, for as long as you like. You are effectively a ‘sole trader’ for the purpose of letting your property, and can offset all your operating costs (bills, advertising, running costs) against your income. In this instance you will be liable for tax on the net profit at 24%. Your accountant would do all these calculations for you, and also your end of year tax return. The rental season is May to October. May and October are low season and June and September are mid season. July and August are peak season. If you’re renting out property in Greece, it’s important to know that winter rentals are comparatively rare. Rental rates vary enormously, depending on location, size and style of property, and amenities. An initial amount of research on holiday letting websites will enable you to compare your property with others and pitch your rates accordingly. If you’re transferring money back to the UK from your rental property, make sure your budget is protected. Live exchange rates never stop moving, so find out how to lock in a rate using a forward contract in the free Property Buyer’s Guide to Currency. What operating expenses should you consider? Many owners employ a House Manager who employ staff plus organise and pay the service bills. Online banking is also available from Greek banks in English, making it easy for owners to track and pay their own expenses. Online banking is available from many Greek banks in English, making it easy for owners to track and pay their own expenses. What are the dos and don’ts of renting out property in Greece? Do comply with all legal requirements and listen to your professional advisers. Do make sure your property listing is 100% accurate and not over exaggerated. Do have the best/fastest WiFi available. Do provide a full information book with contact numbers and emergency numbers. Villa guests are independent by nature, but also appreciate having plenty of information, recommendations (and assistance should they ever need it). Do be aware of the power of reviews. Always be polite to guests and make sure the staff representing you are also welcoming and polite. A great review can generate a lot of bookings! Do chat with your guests online prior to their booking and arrival and find out all about them – it helps you to weed out potential issues whilst they stay with you. If you’re buying a rental property, hone up your bargaining to get the best possible value. Download our free Negotiation Guide for tips from estate agents. Don’t believe everything you read on social media. Use professionals for advice, as regulations can change frequently and informal advisers may not necessarily have up to date information. Don’t leave anything in your property which you can’t bear to lose of have broken accidentally. Most guests are respectful and considerate but accidents do happen. In spite of all the above, which may seem daunting, thousands of villa owners both enjoy their properties themselves, and successfully let them also, thereby covering their operating expenses and giving them funds for upkeep and improvements. 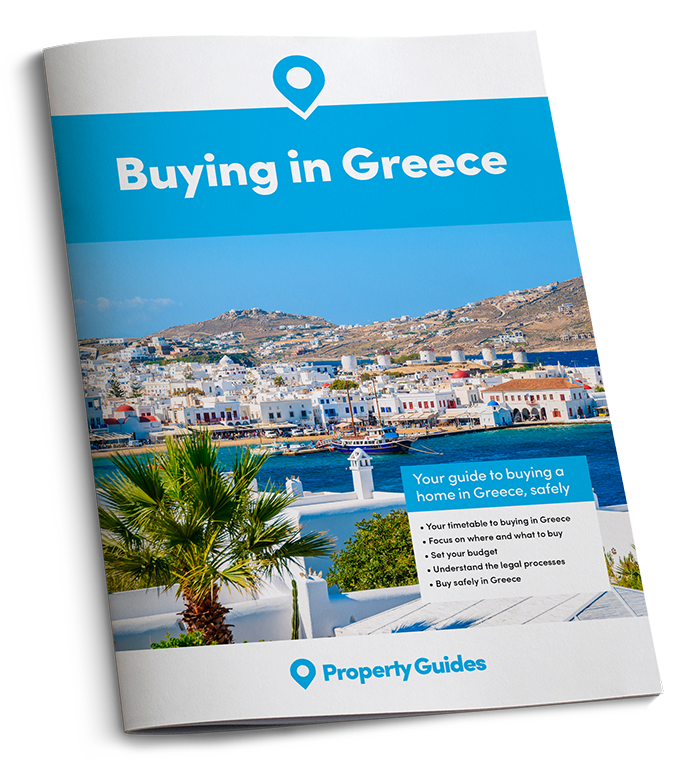 This article was written exclusively for Greek Property Guides by Diana Giannoulis – owner of apartments and villas in Corfu for many years, and director of Corfuhomefinders estate agents. Diana is an expert in finding homes for international buyers, and can also assist with lettings and management of purchased properties.